You have just entered your seventh month and three months left for the most awaited day. 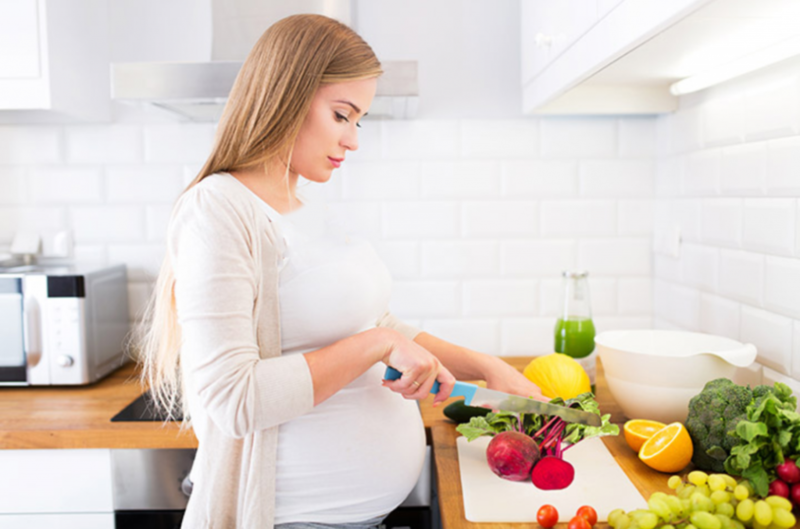 You have followed proper diet, took care of yourself and now you are yet to check new tips for these 4 weeks, i.e., 25th to 28th week of your pregnancy. Let us check what else you need to do these 4 weeks. Check the recipe suggestions but you can try different recipes with rich sources of these nutrients. How Much of Water and Fluids Do You Need? You know well that we advise not just pregnant women but everyone to drink at least glasses of water everyday which means 15 litres; however during pregnancy it is very much important and you can’t afford to avoid it. You cannot become dehydrated at this stage. Not just water but entire fluid you take in a day should be minimum 1.5 litres but it’s important that major part of it should be water. Water helps to carry all the nutrients through the blood to all the organs in your body and your baby. It also prevents urinary tract infections and piles which are few of the common problems pregnant women face. So, drink as much water as possible. Should You Take Calcium and Vitamin D? 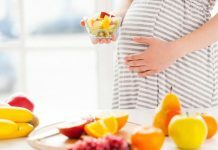 We have already mentioned about the importance of calcium and vitamin D in pregnancy for the previous weeks of your pregnancy. Calcium is important throughout the pregnancy because it helps your baby grow with strong bones and strong teeth. Calcium is also important for healthy nervous system, muscles and heart. Calcium is rich in dairy products like milk, paneer, curd or yogurt, cheese, etc., green vegetables like spinach, lamb’s quarters, amaranth, green beans, etc. pulses like kidney beans, soya beans, etc., sesame seeds, almonds, figs, walnuts, etc. The same way you also need vitamin D as it helps for the absorption of calcium. If you are deficient in vitamin D then all the calcium you had went waste because without vitamin D calcium can do nothing; in fact, it can get deposited resulting in calcification. You can eat vitamin D rich foods but sunlight is the best source of this vitamin. You just need to get some sunlight every day. Foods rich in vitamin D are eggs, milk products, oily fish, etc. 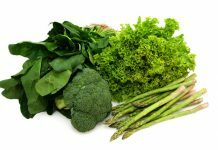 How To Get Maximum Nutrients Out of Food? If you have read diet tips for previous weeks then stick to it; you know that certain foods should not be mixed to absorb nutrients properly. For example, if you have tea or coffee within an hour of meal then the tannins present in them prevents iron absorption you had from meal. If you had a cup of tea then you should wait for an hour to have your meal; the same way if you had your meal then you should wait for an hour to have you tea. Eating more whole grains is definitely good but if you have it too much then it can interfere in the absorption of calcium, zinc and iron. Steaming and pressure cooking retains the vital nutrients and overcooking vegetables results in nutrient loss. Always have freshly prepared meals since nutrient loss is more on reheating. Keep your breakfast energetic with whole grain cereals. Have oatmeal porridge with a glass of juice, green salad with a glass of milk, hard boiled egg with brown bread, vegetable sandwich made with whole grain bread with a glass of milk or oat in milk with cut fruits. There are many ways you can try them. Have you ever tried halloumi? It is made from goat and sheep milk and is a good source of calcium. Rocket, a kind of leafy vegetable is rich in folate and tomatoes are rich in vitamin C. Prepare dish with these ingredients and you will get plenty of nutrients. You need wholemeal ciabatta roll, garlic clove, halloumi cheese, basil leaves, sun dried tomatoes and rocket leaves. Slice the ciabatta and cut a garlic clove.Rub the edge of garlic clove over the ciabatta and chop the tomatoes followed by arranging them on the roll. Grill the cheese and add few basil leaves over it. Grind some black pepper and add some olive oil over it. Place them over the roll and dress it with rocket leaves; it’s done and you can have it now. For snack you can try hummus with pitta bread which provides good carbohydrates, proteins and uses very less ingredients. You need chickpeas, tahini or sesame seed paste, lemon juice, garlic clove, olive oil and wholemeal pitta bread. Take the chickpeas in a food processor along with tahini and add some lemon juice and garlic clove. Whizz and break up the chickpeas; drizzle some olive oil with some water. Mix well into creamy texture and keep it in the refrigerator. Have it with pitta bread; you can also add chopped coriander or chopped pitted black olives. Similarly try different snack ideas as per your taste. Try smoothies, juices, salads and sandwiches as well. Try dates and banana milk shake, buttermilk, fruit yogurt etc. This dish is very rich in calcium and is easy to prepare as well. You need olive or sunflower spread, celery, baby button mushrooms, dried thyme, flour, semi-skimmed milk, grated cheddar cheese and pasta. Preheat the oven to 190 degrees C and melt the cheese in a pan. Add chopped mushrooms and celery and let them soften; add thyme and mix. Meanwhile, cook the pasta as per instruction. Add some flour to the mushrooms and celery mixture. Add some milk and stir well. Keep checking and stirring. When the sauce thickens, add three quarters of cheese and drained pasta to it. Now take it in an ovenproof container and sprinkle some cheese over it. Bake for 15 to 20 minutes till the cheese turns brown and have it with salad of tomatoes and lettuce. This is quite easy to make but you can prepare different dishes like these as per your taste.